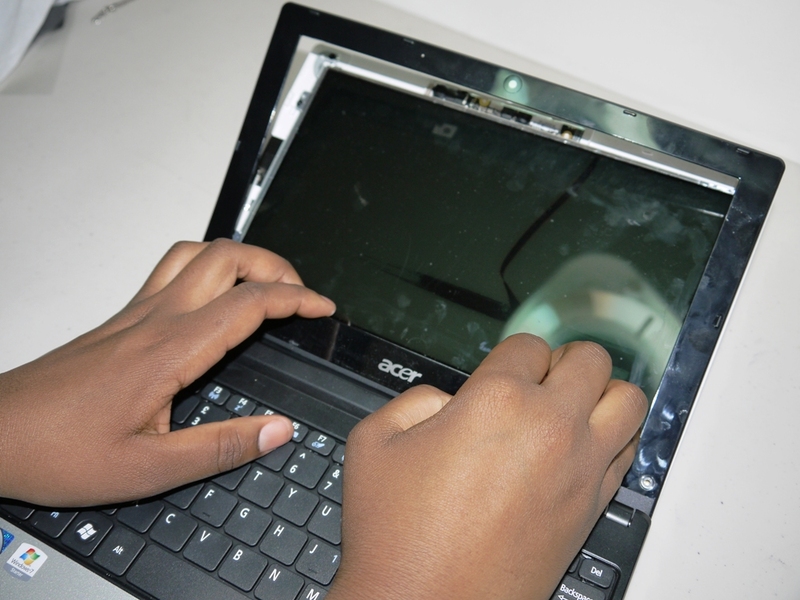 In this tutorial I will show you how to replace a broken damaged screen on a netbook. 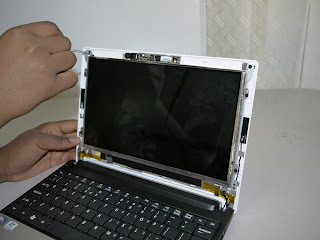 This instruction can be used on many other netbook laptops and can be used for models like Acer Aspire One D250, D255, D255e, D257, D260, D260-A, Acer Aspire One Happy, PAV70, PAV60 and others. The Acer Aspire One D255 screen is a slimline 10.1 inch LED LCD screen with resolution of 1024 x 600 and an aspect ratio of 16:9 with part numbers B101AW06 V.1 or V.0. The D255 and D260 also comes with Chi Mei make screen part number N101L6-L0D. 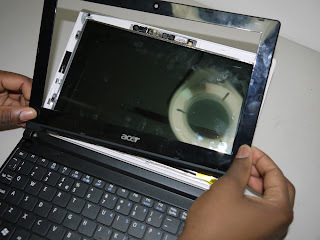 Listed below are links to most of the Acer Aspire D255 laptop screens. You can find these extra numbers at the bottom of your D255 netbook. Note that all these laptops come with the same type of screens. 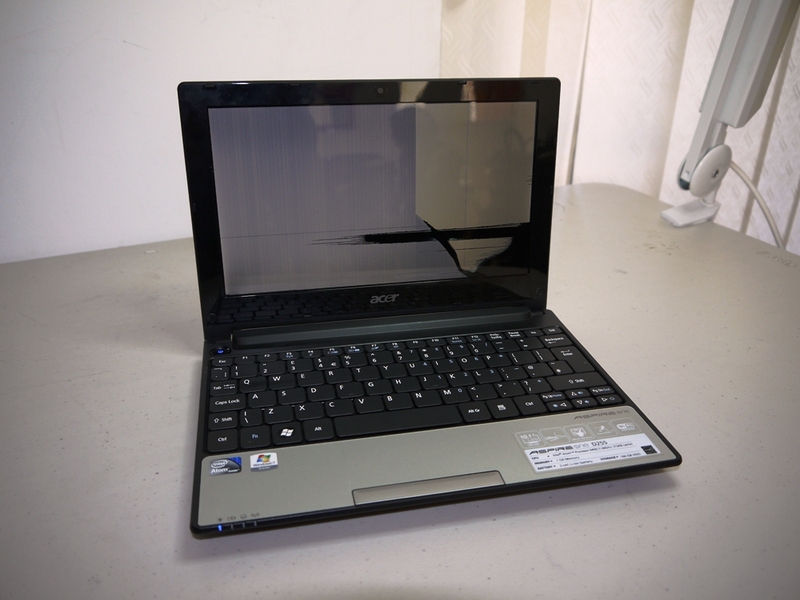 Find others at Acer Aspire One D255 netbook screens series. Before starting the screen replacement process make sure that you have a brand new screen in place. 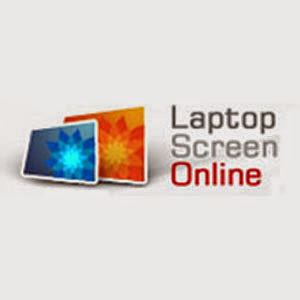 For laptop screens check http://www.laptopscreenonline.com. The Acer Aspire One laptop is a very thin fragile laptop and can be damaged in the slightest impact. This replacement instruction should be studied first before carrying out the work on the laptop. First is to remove the screw cover to expose the screw. The covers are usually made of plastic or rubber and by using a screw driver it will easily come off. Remove the two screws at the lower parts and keep them safely. 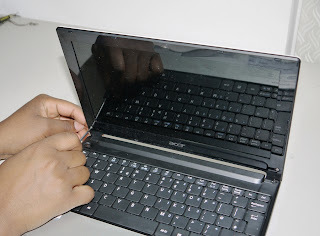 By carefully placing your fingers between the screen and the plastic cover and pulling on all sides you will be able to free the plastic bezel from the laptop. 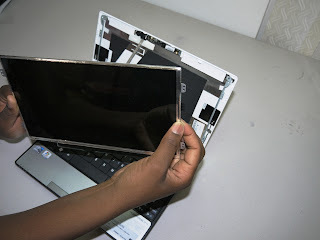 This must be done with care as by pulling too hard may result in breaking and snapping the bezel. The trick to removing the bezel successfully is to carefully pull upwards to release it from the hinges area. This can also be done with the aid of a flat screwdriver. 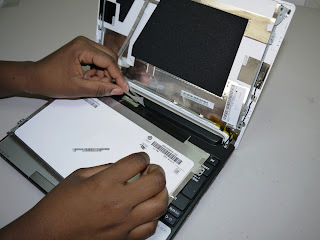 As the internal part of the screen section is now open what is now left is to carefully dismantle the screen. First is to remove the screws from the top area and ones holding the screws on the sides. 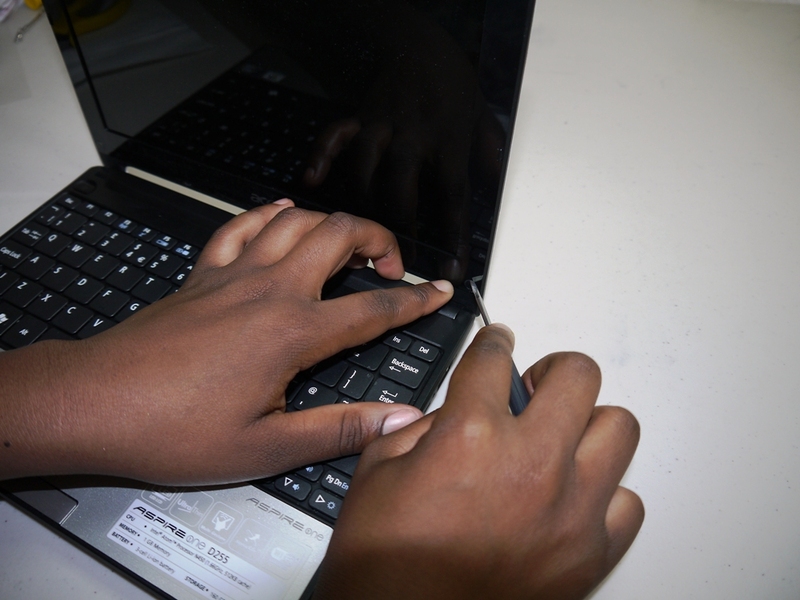 Carefully place the screen face-down on the keyboard. 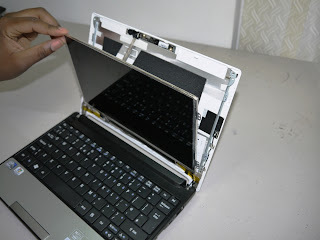 At this point it is important not to pull the screen as to avoid damaging the data cable connector at the back of the laptop screen. 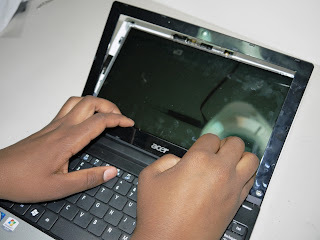 By using a flat cable, push up the adhesive tape holding down the screen data cable connection and pull the cable carefully to free it from the screen. Also at this point you will find the screen part number B101AW06 V.0 among some of the writings on the label. As in the picture on the left pull the cable backwards to disengage the screen data cable from the screen. This is a very tricky thing to do and must be done very carefully as this may result in the total damage of the cable if not well done. The trick is to pull backwards. The screen removal process is complete. 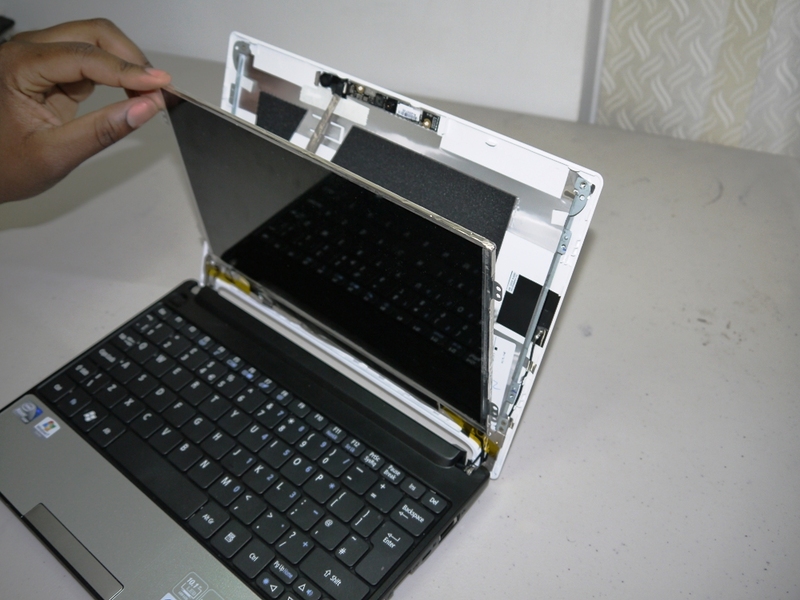 The next thing is to fit a brand new screen to the laptop. To do this you should carry out the process in this tutorial in reverse order. To search laptop screens go to Laptop Screen Online. To order by Part number go to B101AW06 V.1, B101AW06 V.0, N101L6-L0D.